Music has value because it moves us. That special album that takes us back to some magic moment, or the songs we love to dance to. What has people by albums is the love of the music. MP3 collecting is similar to collecting baseball cards. Grab an artist’s entire discography, and trade among your peers. Our music collections expand almost as fast as the national debt, and often music sits on our hard drives unlistened, unappreciated, and unacknowledged. We become overwhelmed with the amount of music we have to listen to, and start to lose our love for the music that touches us. 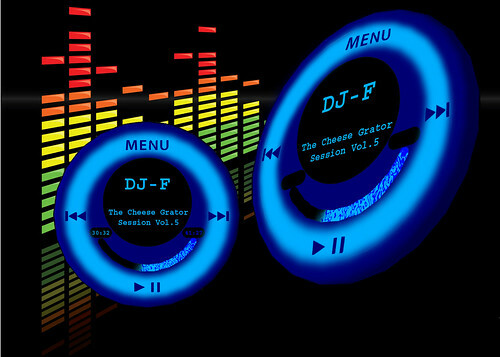 When music is downloaded and listened to only once or twice, it becomes a single serving item, like a hamburger. Could the current frenzy of MP3 downloading (both legal and illegal) be eliminating our love for music? There’s a phenomenon known as information overload. One way to look at the current consumption of MP3s is that music is in an information overload stage. With so much music to choose from, both free and bought, and huge MP3 collections, the line between having music we love and having music because it’s there is getting blurred. Most of the time, we relate to this in terms of album sales and the music industry. What if we looked at it as a shift in the perception of music? While music is always special, it’s apparent that we are now starting to view it as a tangible thing instead of art. What effect this will have on our appreciation of music is anybody’s guess. Bottom line: We used to buy CDs because we loved the music. It is starting to appear that we now collect MP3s because they’re accessible. No matter the music’s format, past or present, getting to the good stuff really depends on the amount of time and energy the individual puts into finding, sorting, and listening to music. (It can become a full time job for some.) Even in days past, There’s always been more music to listen too, than there are hours in the day. 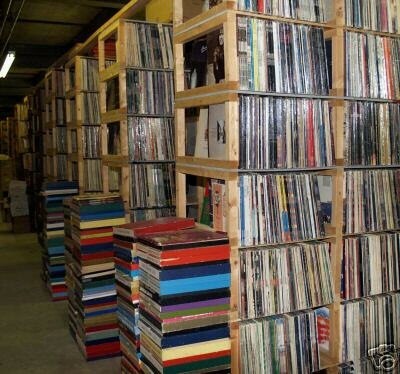 Sorting through stacks of vinyl can be just as daunting as sorting through stacks of MP3s. In the past days of major label monopalization of the market, most folks were monitarally limited to the amount of new muzak they could listen to by the simple fact that, most folks could only afford a couple 20 dollar albums a month. (if that) Technology has changed and thus our ability to get to and absorb more free music than ever before is at hand. In some sense this can seem to create an overload of signals and impulses, confusing those who are ill-equipped to absorb and dissect such a large array of auditory endeavors. Also making it more difficult to decipher and discern which artists are truly pushing boundaries and pushing music in general, and which are more motivated by love of self rather than love of aRt. -There has always been ligitimate, original musical talents, and then there’s always been the hacks.. or at the minium, those who imitate and regurgitate the true ground breakers until the point where entire genres of music are high-jacked, ran into the ground, and then abandoned. However this discussion being more about the available amount of free music vs the salable kind, and the effects there of. And with the Signal to Static ratio seemingly pushed far into the static side with the amount of available music out there currently, it’s easy to assume that there’s an overload of choice. Thus creating forest which smothers it’s trees.. And this could be true to some extent, but imo not to unmitigatable levels. So then the question becomes: If i’m having to pick a world where there’s too much music to choose from, or a world with a limited, finte amount?.. I’ll choose the world with too much music every time. -especially one in which more of the power over the art/music itself is ever more in the hands of the artists creating it, rather than the corporations who monopolize, assimilate, and then artistically bankrupt it. What it comes down to in the end in my opinion is: There will also always be a need for music in human society. So does the media by which the music is available really effect music’s purpose in our lives that much? For me, the negative impact is greater in a world where people are denied access to free music, than one in where free music is more readily available. After all, poor folks are prolly the ones who need the positive powers of music in their lives more than anyone. Freedom of information leads to freedom of informed thought, which in turn leads to a more streamlined human evolution as a whole.